Guitarist John Carlini is named by Frets Magazine as a founding member of the revolutionary West Coast new acoustic music movement of the 1970's. John was the lead guitarist in the ground-breaking new acoustic music group, the Great American Music Band. Ten years earlier, after discovering the Wheeling, West Virginia, Jamboree on the radio, John, the son of a New York Philharmonic violinist, made the New York City folk music scene while still a teenager. Sitting in for Jim Rooney with Bill Keith's band, he met David Grisman. In the next two decades this fortuitous union would change the world's perception of what acoustic string music could be. A graduate of both Boston's Berklee School of Music as an arranging and composition major, and the Navy School of Music, where he played big-band rhythm guitar in the Show Band, John Carlini became the musical director of the newly formed David Grisman Quintet. The band's distinctive sound emanated in part from his sophisticated, jazz-influenced arrangements. Carlini's arrangements are featured on David Grisman's Dawg Jazz (1982), and his orchestrations include work with the Turtle Island String Quartet and the Kronos Quartet. Carlini orchestrated David Grisman's score for the Federico DeLaurentis film King of the Gypsies. John is the guitarist on Grisman's Gammy-nominated Dawg '90 and he performed with Grisman and Stephane Grepelli at Carnegie Hall. 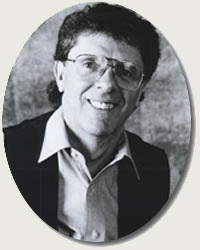 In 1992, Carlini was a New York Drama Desk award nominee for his orchestrations in the hit off-Broadway musical Song of Singapore, also released on CD. John Carlini is currently developing his new acoustic music with two bands - The John Carlini Jazz Ensemble, showcasing jazz-oriented aspects of the music, and Over the Edge, defining a harmonically advanced bluegrass-based music. Carlini's masterful musicianship is widely acknowledged. Guitar Player magazine calls him "a wily mainstream jazz veteran with an unerring feel for all idioms." In this exciting program, John Carlini thoroughly teaches 5 complete jazz guitar chord melody solo masterpieces. He also explains his use of harmony-theory, playing techniques and artistic insights using these songs as examples. His course is taught using both fingerstyle and pickstyle techniques and covers a variety of musical styles. Part of what makes this series so special is the absolutely stunning beauty of these arrangements! Includes: "Take the A Train, Angel Eyes, One Note Samba, Nuages, Norwegian Wood". John Carlini Plays "Angel Eyes"
In this exciting program, John Carlini thoroughly teaches 5 complete jazz guitar chord melody solo masterpieces. He also explains his use of harmony-theory, playing techniques and artistic insights using these songs as examples. His course is taught using both fingerstyle and pickstyle techniques and covers a variety of musical styles. Part of what makes this series so special is the absolutely stunning beauty of these arrangements! Includes: "Georgia on My Mind, Stardust, Both Sides Now, Stompin' at the Savoy, The Christmas Song". John Carlini Plays "Stompin' At The Savoy"
An in-depth study of progressive guitar concepts and techniques for all styles of music! Travel through musical time with John Carlini and learn a smorgasbord of musical concepts all designed to help improve your own technique and musicianship. John's teaching approach is "one of a kind". His explanations are clear and easy to understand. Topics include: practice methods, time and the metronome, the bluegrass mode, the Coltrane - Monroe connection, Bach for the acoustic guitarist, the mighty tritone - blues connection, key of the week and playing techniques! John Carlini Plays "Blues Deluxe"